A 24-year-old U.S. Marine died after he crashed his car into a pillar of the Cabrillo Bridge on state Route 163 near Balboa Park early Friday morning. According to California Highway Patrol, the crash occurred just after 3 a.m. on SR-163 north. The driver, the sole occupant, lost control of his car, drove through a freeway sign up an embankment and slammed head-on into a concrete pillar of the bridge. 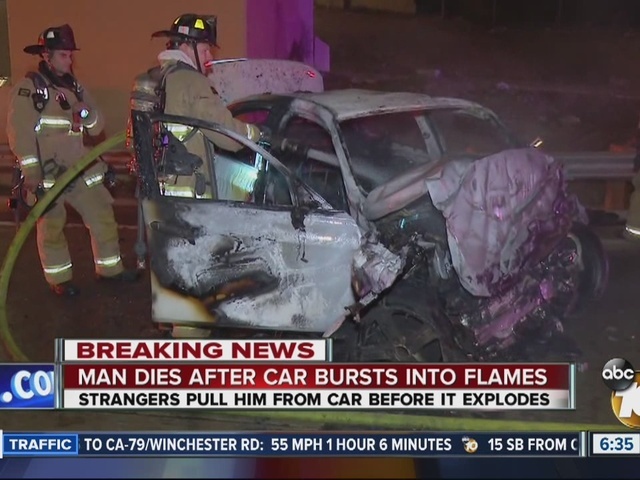 About a half-dozen people stopped and ran to the car, where the man was trapped inside. They dragged him out just before it burst into flames. "He was in there, I felt his neck, he had a pulse," Tammi Erskin told 10News. "And then, when the car caught fire, I knew we had to get him out, whether you're supposed to move him or not. We knew if he stayed in the car he was going to die." CHP reports the man was taken to Scripps Mercy Hospital, where he died from his injuries sometime before 5 a.m. 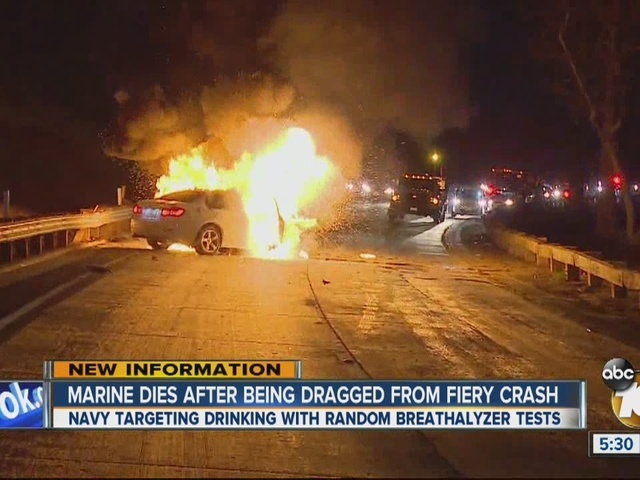 The San Diego Medical Examiner identified the victim as an active-duty Marine. His name was not released pending next-of-kin notification. CHP was investigating whether alcohol was a factor in the crash. All lanes of SR-163 north were reopened before 5:30 a.m.